I'm on record as saying that I don't do New Year's resolutions. They're largely a waste of time and they set you up for failure. And that failure results in less motivation and less productivity. One alternative is to focus on results. Ask yourself what you want the end result to look like, then work backwards. What will have to happen to get that result? Finally, after missing many shots in a row, I thought, "What am I not doing right?" I had been focusing on my feet, my arm/hand position, release, follow through, etc., but I had forgotten what needed to happen at the hoop - for the ball to go through! 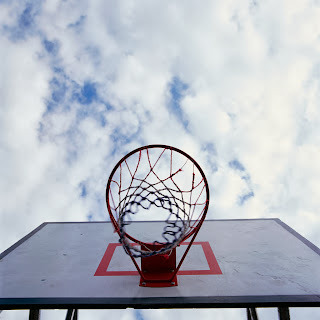 That simple thought reminded me of a key concept, that of "dropping" the ball on top of the hoop. Instantly, my release angle changed, my elevation (such as it is) improved, and my posture straightened up. Miraculously, the ball started to go through the hoop. It sounds simple, but just by knowing what needed to happen at the end of the process, my brain automatically changed the beginning. Like my shooting baskets without thinking about the end result, many resolutions are basically nice gestures, but ultimately useless. When I hear people say they need to, "exercise more," or, "eat less junk," or, "start saving money," I usually cringe. Unless you connect those good intentions to an end result, they're almost worse than not making resolutions at all. Join me in a little mental exercise, will you? Just take a minute to think about the next few scenarios. Let's say you played fifty paying gigs last year - and that's cool - but you want to double that number this year. What would you have to do to play one hundred paying gigs this year? What would you do first, then next? Whose help would you need? What would need to change about how you run your business? What if you really did need to lose twenty-five pounds this year? What would you need to do to get it done? Is there anything you need to stop doing or eating? Need to get a gym membership, or a new alarm clock? Maybe you need to finally read that health book or take your friend up on his offer to be your jogging partner. Or maybe there's an audition you want to prepare for and take. Where do you need to start? What instruments do you need to get? Do you need to study with someone? 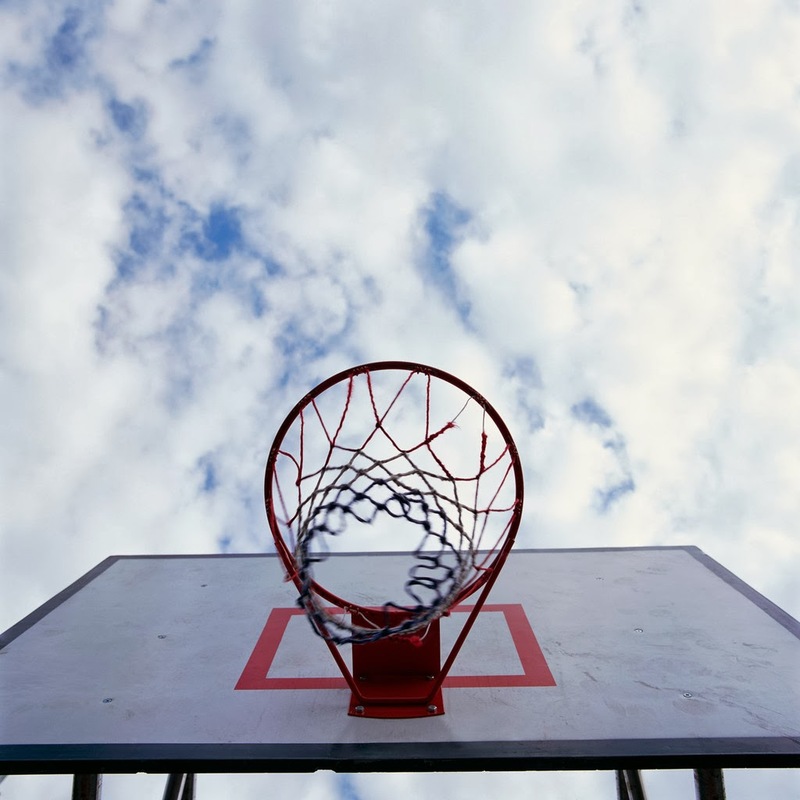 Whether it be a technique goal or an earning goal, number of gigs played or something else, this same process can apply. What will the end result be? What do you need to do first (right now! ), and what is next? If you keep your eye on the final goal, the process will usually make itself clear. *It's a colloquialism by now, but, "Insanity is doing the same thing you did before and expecting a different result." December is a great time to be a freelance musician. 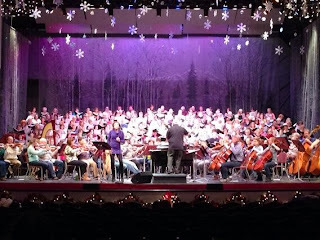 One of my annual Christmas gigs is to play in the percussion section of Dr. Craig Jessop's American Festival Chorus and Orchestra. 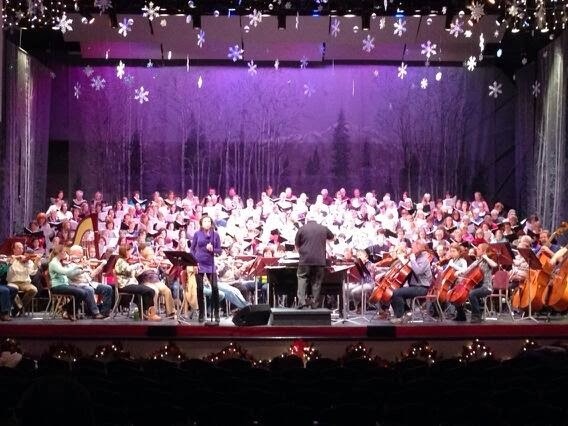 It's a world-class ensemble, and always features a prominent soloist. This year was no exception. The performances were electric, and the guest artist, Alyson Cambridge, delivered passionate, moving interpretations. It was a joy to be a part of the process of preparation and presentation of such a gift. 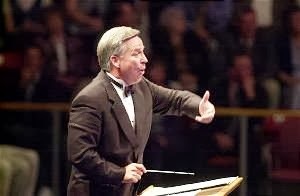 During one of the performances in a section where I had rests (welcome to orchestral percussion), I was watching the singers, the instrumentalists, the conductor, the soloist and the audience, and I had an epiphany. I don't think about it often, but a section percussionist's role - almost without exception - is to be servant to the music. Candidly, what musician doesn't have this responsibility? 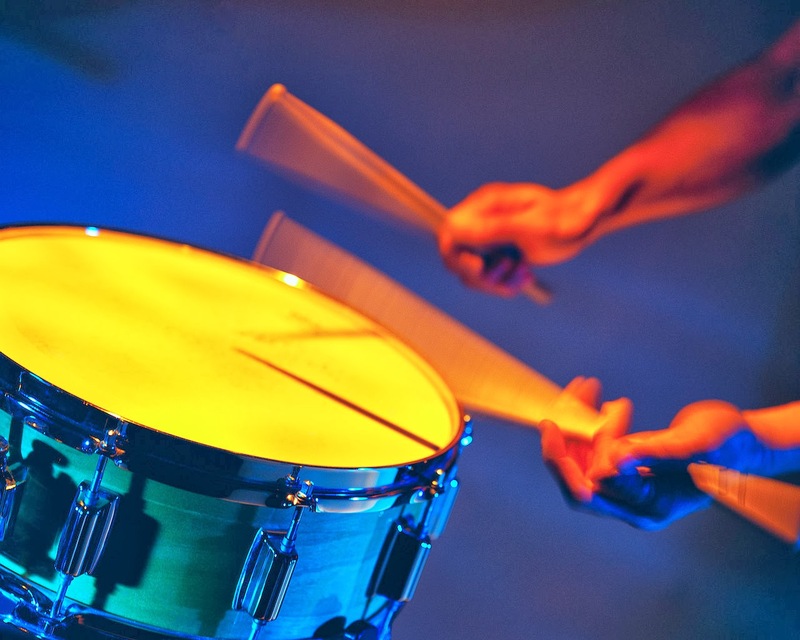 Percussionists, possibly more than other musicians, have to find ways to fit fewer notes into the texture and framework of the performance, and make them count. Watching the performance that night, suddenly all I saw were servants. Each musician was giving, contributing his or her sound and heart. Dr. Jessop, with his back to the audience, while conducting energetically with both arms, was sweating and breathing heavily, smiling the smile of the joyous laborer. He was serving the music, the performers and the audience at once. Alyson Cambridge, the soloist, was engaging the audience in every imaginable way, expending her considerable talents to the fullest. The audience, for their part, received the gift with absolute grace and rewarded the performers at every possible opportunity. The ovation at the conclusion of the program lasted for several minutes. All gave. All received. That's how it's supposed to work. I'll be honest. It's not totally altruistic. Nobody plays music exclusively to give. Music has huge rewards, and one of them was the rush of being a part of that much energy focused in one room at one time. There are other rewards, but I think this is the one that keeps me coming back for every gig. Financial guru Dave Ramsey has a saying, "Live like no one else, so later you can live like no one else." In a nutshell, he's talking about being financially conservative now so you'll have money later. If I may, I'd like to alter that saying a little bit as follows: "Play like no one else, so later you can play like no one else." The best, most successful musicians in the industry are the ones who give their whole hearts to each gig, be it a casual for a few people who don't even care, or a huge venue in front of attentive, die hard fans. When these musicians play, their colleagues, clients and audiences appreciate them and learn that they can depend on them to deliver meaningful music each and every time. Develop a reputation as a good servant, and you'll soon be master of your own career. Gear Up: What's in your tool bag? Any musician knows that you can never have enough stuff. Whether it's reeds, mouthpieces, picks or strings, you need tools at your disposal. For percussionists, this means sticks and mallets - and a lot of them - and a variety of other small instruments and tools. One of my students recently asked me which was my most expensive single bag or case. I pointed to three: a cymbal bag (lots of metal means lots of dough! ), DW kick drum, and my mallet bag. The last one surprised him. "Isn't that just all your sticks and stuff?" Yes. It is. And it's maybe my most valuable bag - if not monetarily, then certainly practically. Think of yourself like a construction worker. 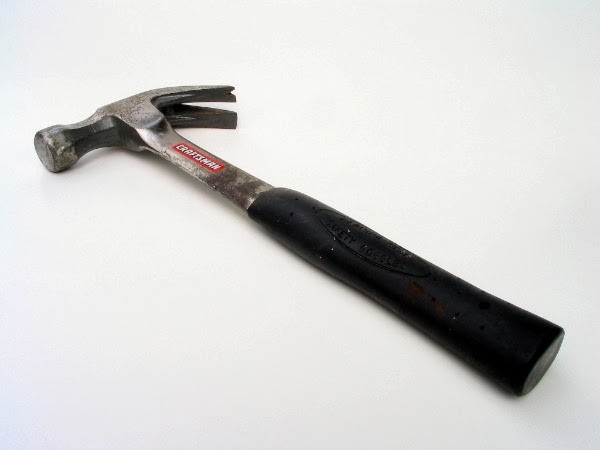 ** Even if you only have one specific job, like framing, you are going to need a wide range of tools. Hammers, a variety of saws, measuring tapes, levels, squares, nail guns and air compressor (if you're using pneumatics), and more - not to mention special tools for problem solving, like a jigsaw or power drill, and all of the accessories. And if a tool fails, you'd better have a backup. Can't be running to the hardware store while your partner holds up a wall! For every tool you don't have, you either can't do the specific task, or you'll do it with the wrong tool. And if you do it with the wrong tool, you're not likely to do it well - if you can do it at all - and it will be a lot harder than it needs to be. Drummers and percussionists are actually a lot like the construction worker in our example. We need to have tools in our bag that will allow us to play a wide variety of styles and instruments at a moment's notice on any gig. You can find literally thousands of lists of tools you should have in your gig bag, and many of them are extensive. Specific brands and models are the subject of another blog post (or several), but here's a bare minimum list of a few things I think are critical on any and every gig for a percussionist. Light, medium and heavy drum set sticks. 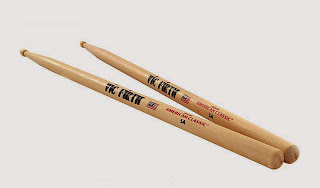 At a minimum, you should have three pairs of kit sticks in good repair. Not only will you face different styles - like jazz and hard rock - you'll face different volume needs, environments, and preferences of band leaders, just to name a few. If nothing else, you can answer a confident yes, when the inevitable question is asked: "Hey, do you have something lighter/heavier you can use?" Besides, it's easier to actually play louder or softer if you have heavier or lighter sticks. Aside from their obvious tonal and stylistic uses, brushes and rods provide great options to get to lower volumes without having to use 0.05" high strokes. In super low volume situations, you'll need rods or brushes just to get below the tolerance of, say, the mother of the bride. You might end up even using your hands! More than one pair is preferable, but you'll need something in the medium range. 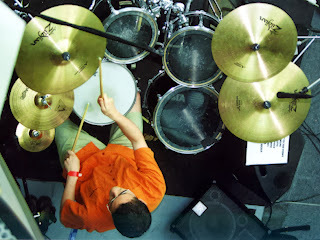 You might end up playing timpani (but if you're the timpanist on the gig, you need a very different bag of tools - again, for another blog post), but more likely you'll play cymbal rolls and your drum kit with them. Because of that, buy something cheap that you won't mind getting beat up, lost or broken by the bass player. I use these. They're passable for rolls, and they sound great on my toms. Again, at bare minimum, you need a pair of something either cord or yarn wrapped that could be used on vibraphone, marimba or xylophone in a pinch. A set of four would be even better. 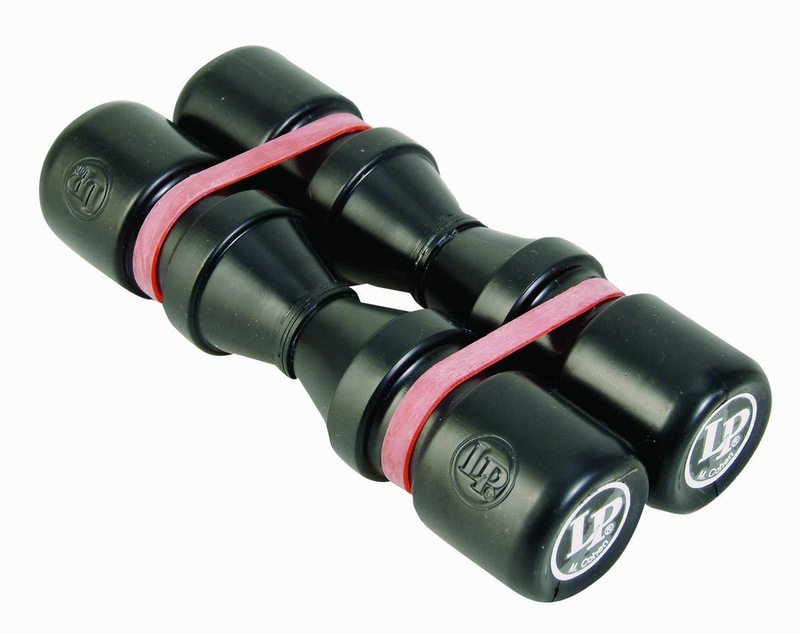 You'll also need a pair of phenolic or acrylic mallets that can be used on bells (glockenspiel) or xylophone. 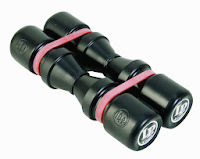 They can also be used on wood blocks and other small percussion if needed. Egg shaker? Yes. That, too. I'd also recommend at least one plastic barrel shaker for medium to soft volumes, and a metal barrel for louder settings. As a side note, try practicing basic rock beats with your hi-hat hand playing eighth or sixteenth notes with a shaker instead of your normal hat pattern with a stick. Pencils, pen, sharpie marker and highlighter. No, I'm not kidding, and keep the pencils sharpened. In fact, get one of these and throw it in your bag, too. Most musicians have at least learned to carry a pencil, but the other tools are useful if you need to mark up your music, quickly write out a chart or sign for your check. And at some point, you're going to sign an autograph. Pull out the sharpie and make the kid happy, okay? You're the drummer! As a very young man, I got asked by the coolest band in town to sit in on a "jam." It happened to take place at a new local studio, and we played Voodoo Chile at volume eleven for forty-five minutes. It was my first real hearing damage. I would have killed for a pair of ninety-nine cent foam ear plugs. A drum key (or two), a roll of gaff tape, a note pad (legal size), your business card(! ), a metronome, and anything else you've ever needed on a gig and didn't have. All of my recommendations come from personal experience. I've played hundreds and hundreds of gigs over the last fifteen years or so, and every item on this list has been needed on at least several occasions. Over time, you'll develop your own list of must-haves, and you'll never leave home with out it. As the ol' Boy Scouts say, be prepared! *If you're a nerd (like me), there's some interesting and brief background on this proverb here. **Full disclosure: I actually worked a construction job for my father, who was a general contractor, for many years. We built homes. Lots of homes. It was my dad who taught me the value of not only having great tools and the right tools, but also taking care of them. I just finished a book. That's not unusual for me. I read a lot of books, usually fantasy/sci-fi, business management and personal finance books. I'm a nerd. For a musician, I don't read a lot of music related books aside from the notes and staff variety, but this one reached out to me. Maybe it knew I needed it. So, how did I come by it? Pretty simply. There's a decent thrift store in town, and I cruised through the book section and picked this one up. It had a one dollar price tag on it, so I thought, "Well, I'll just carry this around for a while and then bring it back." I couldn't bring myself to leave it, so I paid the buck and took it home. Not only did it have a title that hit close to my heart, but this book was a little ragged around the edges, seemed colloquial - I honestly felt like I was adopting a lost puppy. I brought it home, but didn't think I'd actually read it. But the first time I cracked the cover, I was hooked. There was a reason for the ragged cover - the book shoots straight. 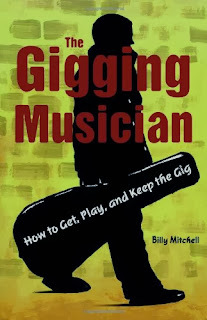 It's full of plain advice and straight talk that the wise musician will take to heart. It is written in a conversational style that provides for easy and quick reading. It seemed to me that the author tried to create the feeling of having a personal conversation between colleagues. In short, Billy Mitchell gets to the point, and gets there very clearly. "If you keep on doing the same stupid things, you can expect the same stupid results"
"You are the only one who realizes the full potential of your work." "It's blood, sweat and tears - and then you still might not get the gig." "When you begin to look at gigs for their dollar value only, you begin to diminish the spiritual value of the craft." "The music business is a living thing, a beautiful yet vicious animal that sometimes eats its young." There's no shortage of one-liners, and there are myriad concepts that you simply cannot miss if you're attempting to make a career in the music business. From figuring out who you are, to showing respect to those who work with you or for you, to arriving prepared to the gig - Mr. Mitchell covers critical aspects of the music business. I've been playing paying gigs for almost twenty years, and there was plenty that I needed to read. It's a unique thing to read a book that makes you instantaneously feel that the author knows you, knows your situation, and cares. But you do get that sense. The writing style is personal, honest and very straightforward. More importantly, it's plain. I don't mean uneducated or simplistic, but written like you'd write something important to a good friend. If you're a gigging musician - or aspiring to be one - you need to read this book. It'll take you an afternoon. Two, at most. And it'll be worth every minute, and every cent you spend to buy the book. Happy reading. And happy gigging! 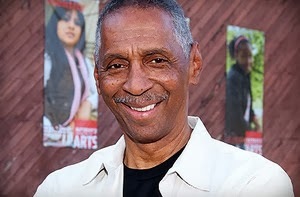 *Active on the pro LA scene since 1970, Billy Mitchell is as experienced and decorated as any musician in the game today. You can read his full bio here.